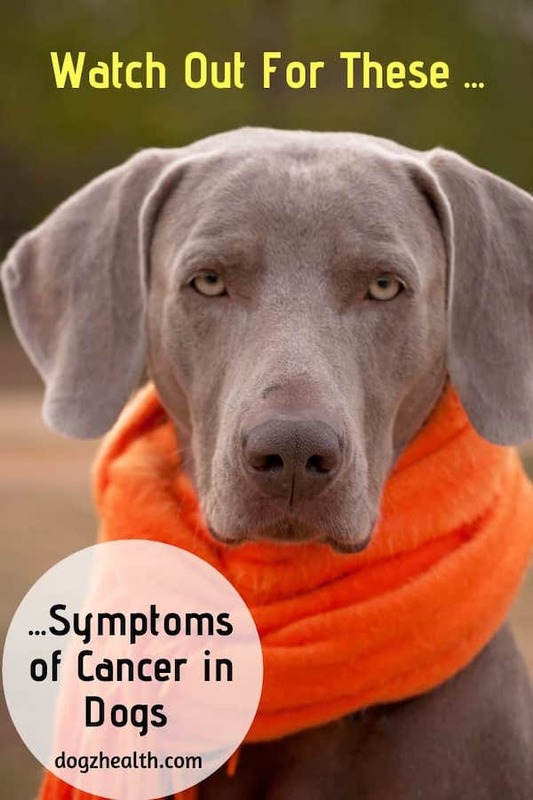 Symptoms of cancer in dogs can be indistinct and varied. Depending on the type of cancer, the symptoms can range from digestive problems to skin ulcerations, seizures, and more. Familiarizing yourself with different possible canine cancer symptoms may help you identify the problem at its earlier stage. Cancer, to put it very simply, starts when some genes in a cell are damaged. The damaged genes that control cell growth turn on uncontrolled cell growth and cell division, causing the cell to start multiplying uncontrollably. If these cells with damaged genes cannot be destroyed by the body’s immune system, they will grow out of control. Cancer will then be established in the body. Cancer rates, both in humans and pets, have shot up in the past few decades in many developed countries. Dogs get cancer at roughly the same rate as humans. Older dogs are more susceptible to the disease. In fact, cancer accounts for almost half of the deaths of dogs over 10 years of age. As cancer can occur in different sites in a dog’s body, symptoms of cancer in dogs vary depending on the type and the location of cancer. It also depends on whether it has spread (metastasized) to other sites in the body or not. Some types of cancer show very non-specific symptoms especially at the early stages. In addition, sometimes some cancers have symptoms that mimic other non-cancerous diseases, making it difficult to detect. As dog parents, it is helpful to learn about some common warning signs and symptoms of cancer in dogs. By doing so, we are more likely to detect cancer earlier and get our dog timely veterinary attention. Many types of canine cancer cause a dog to lose his appetite. So this is the first warning sign that we have to pay attention to. Of course, occasional loss of appetite is not unusual. But if your dog stops eating for over 2 to 3 days, you should watch out for other symptoms that your dog may be showing. Another symptom to watch out for is weight loss. 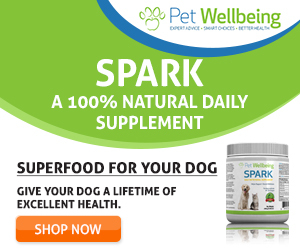 There are a number of health problems that can cause weight loss in dogs, and cancer is one of such problems. If your dog is losing weight (either suddenly or over a period of time), measure his weight daily. Keep a record of his weight over a period of one week or so. Also watch out for other symptoms that your dog may be showing. 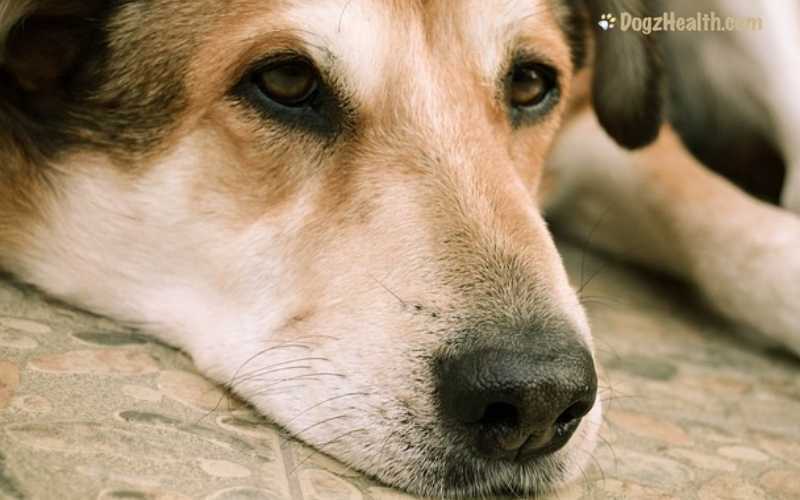 Dogs with cancer are understandably weak and lethargic. They usually tire easily and are reluctant to exercise or even play their favorite games. Anytime your dog is lethargic for over a day, you should regard that as a warning sign. Watch your dog’s other behavior and physical conditions carefully. Chronic and persistent digestive problems such as vomiting and diarrhea are of course bad signs. They can be signs of cancer of the gastrointestinal tract, such as stomach cancer, or part and partial of some systemic symptoms caused by a cancer originated somewhere else. Be especially alarmed if blood is present in the stools and/or vomitus. Seek immediate veterinary attention. Coughing, especially a harsh, nonproductive cough (sometimes with blood) can be a sign of lung cancer. Lung cancer can be primary (originated from the lungs) or metastatic (originated somewhere else and spread to the lungs). If your dog has a chronic dry cough that does not go away, be sure to seek veterinary attention. Chronic skin problems (such as ulcerations, sores and wounds don’t seem to heal, chronic itch and lesions) can be a sign of skin cancer, which is very common in dogs. Any lesions, sores, etc. that do not heal should be looked at by a veterinarian. Lumps and bumps on a dog’s skin may be symptoms of various forms of cancerous tumors (e.g. lymphomas, mast cell tumors, fibrosarcomas). On the other hand, some lumps and bumps are just benign growths (e.g. warts, fatty tumors, cysts, etc.). Generally speaking, a growth that appears and then disappears only to reappear later in a larger size is more likely to be cancerous. But then again, some cancerous growths (e.g. mast cell tumors) are very similar to benign growths. So again, the surefire way to get a definitive diagnosis is to get your dog to the vet for a checkup. Persistent limping with no obvious signs of injury can also be a sign of cancer, such as osteosarcoma (bone cancer). This is especially so if the dog is younger, or has no known joint problem such as hip dysplasia or osteoarthritis. Bad breath can be a sign of oral cancer in dogs. Tumors such as melanomas, squamous cell carcinomas, and fibrosarcomas can occur in the mouth, especially in older dogs. Periodontal disease can also cause bad breath, so if your dog has offensive breath, it is important to have a veterinarian check his mouth for a proper diagnosis. A change in bladder habit, such as frequent urination, straining to urinate, or having bloody urine, can indicate dog cancer such as canine bladder cancer or prostate cancer. Prostate cancer can also cause difficulty defecating or straining to defecate. Seizures may be a sign of canine brain tumors. Dogs with sudden onset of seizures, especially older dogs, should be thoroughly checked out. As you can see, symptoms of cancer in dogs can be varied and non-specific. Some dog cancer symptoms are also very similar to other canine illnesses, making diagnosis difficult at times. Sometimes, diagnosis is not made until the cancer is in its very late stage, resulting in delayed treatment and poor prognosis. It is so important that if you notice any of the symptoms described above, don’t delay – consult with your veterinarian immediately. If found early, many of these canine cancers have a better chance to be controlled and treated, with the possibility of prolonging your dog’s life while maintaining a good quality of life for your four-legged friend.